The DxO ONE Camera attaches to your iPhone to beef up image quality. We rely on our iPhone for so many facets of our life, but as a camera it has become a disruptive force in the photography world. The “Shot with an iPhone 6” advertising campaign is likely making traditional camera companies shutter – pun intended – as sales of consumer cameras continue to fall. It’s a go-to tool for professional photographers, who have done everything from publish books with iPhone photography to shoot commercials for corporate clients. But there are limitations and sometimes it would be nice to supplement a smartphone’s camera with the punch of a DSLR camera. DxO, the makers of sophisticated imaging software, may have the ONE camera to do this. The ONE is a palm-sized camera that plugs into your iPhone with functions and optics that have the potential to deliver greater image quality. 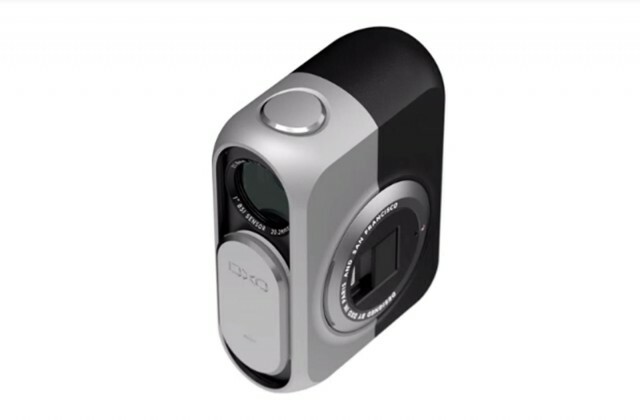 DXO’s ONE camera brings a 20.2 megapixel camera and HD video to your iPhone. Sony was the first to try attaching a beefed-up camera to smartphone with the QX100, a wi-fi lens and sensor rolled out last year that produces fine pictures, but completely eliminates the compact convenience you have with your phone. The DxO ONE camera attaches to the iPhone’s Lightning connector. A simple menu pops up on your screen allowing shooters to quickly select shooting modes. JPEGS transfer to the phone and if you prefer to shoot RAW, the uncompressed, higher-resolution files get stored on a micro SD card. The pivoting, 20.2-megapixel camera has a one-inch sensor, records 1080p HD video at 60 frames per second and has a six-element aspherical lens with a maximum aperture of f/1.8. Images from the DxO ONE, posted in a gallery on the company’s website, look lush and some reviewers who got an early test model report good picture quality, even in dimly-lit situations. With the ever-growing computing power in smartphones, it will be interesting to see whether the cameras in them evolve to make the dedicated camera extinct. But DxO ONE seems be on the right path, design wise, for serious photographers to supplement the already great capabilities of the iPhone camera. Early reviews give the DxO ONE high marks for design and image quality, but raise eyebrows at the $600 price tag. DxO is currently taking pre-orders on its website and expects to ship the cameras by September.